Your dinner or your life: What determines the sprint speed of gazelles, zebras, giraffes … and ostriches? « Nothing in Biology Makes Sense! 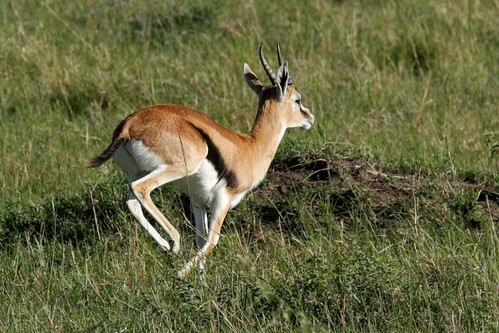 Bro-Jørgensen compiled data on sprint speed and diet in a set of fifteen large herbivores from the African savannah, including Thomson gazelle, impala, plains zebra, giraffe, and even warthog and ostrich. For each herbivore species, he calculated an index of vulnerability to each of five savannah predators: cheetah, spotted hyena, wild dog, leopard, and lion. The first three of those predators run down their prey; the last two prefer to ambush from short distance. Bro-Jørgensen then constructed analytic models using the risk of predation by each predator, diet composition, and body mass as predictors for the the herbivores’ sprint speeds. He constructed the predictive models with the phylogenetic relationships among the herbivores as a covariate—to account for the fact that sable antelope and roan antelope may be similar to each other just because they’re a lot more closely related to each other than either is to ostriches. The model that best explained variation in herbivore sprint speed incorporated vulnerability to all five predators—but neither diet nor body mass. 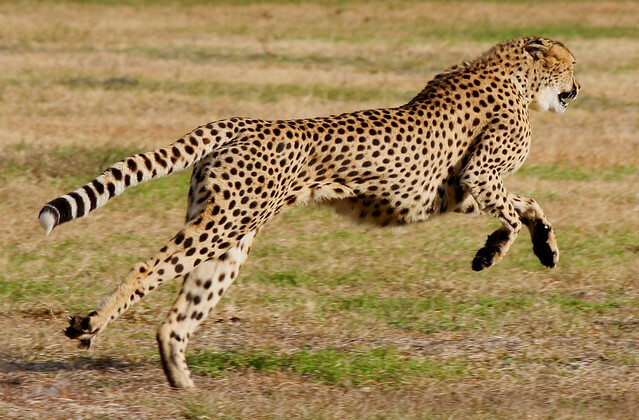 Not all predators had the same effect on herbivore speed, though: increased risk of predation by wild dogs, hyaenas, or cheetahs was correlated with increased sprint speed—but greater risk of predation by lions or leopards was correlated with reduced speed. That’s consistent with the idea that running fast may not be a very helpful defense against a predator that attacks from ambush. Bro-Jørgensen’s results are only correlative; this isn’t the same quality of evidence we might get from a comparative study of sprint speeds in, say, two populations of the same herbivore species that are under selection by predators using different attack strategies. But it does seem like a clear-cut demonstration that, at a very broad scale, the big herbivores on the African savannah have been shaped by running for their lives, not for their dinners. Bro-Jørgensen, J. n.d. Evolution of sprint speed in African savannah herbivores in relation to predation. Evolution 1–17. doi: 10.1111/evo.12233. Janis, C. M., and P. B. Wilhelm. 1993. Were there mammalian pursuit predators in the tertiary? Dances with wolf avatars. Journal of Mammalian Evolution 1:103–125. doi: 10.1007/BF01041590. This entry was posted in coevolution, natural selection, phylogenetics, predation.